Growing up, I heard my generation described by a number of different labels: New Boomers, Generation Y, and Generation Wired, just to name a few. Now that we've stumbled our way into our twenties and thirties, we finally seem to have settled on one label: Millennial. I didn't spend a lot of time thinking about what it meant to be a millennial myself until I started writing Every Last Minute, my current work in progress. The main characters, Will and Mara, are about one or two years older than I am. Like me, they were in their twenties during the three years in which their story takes place: 2011, 2006, and 2015. Do all these similarities mean that I can skip the research and write Will and Mara's story based off my own experience? Of course not. I'm far too Type A for that. :) Part of the pre-writing for this story meant researching what it meant for Will and Mara to grow up in the Millennial generation. We're obsessed with ourselves, our social media, and our tech gadgets. We require constant praise and can't handle correction. No one knows how to work with us, market to us, or kick our free-loading selves out of their basements. So if the young people of today are full of idealistic extremists with illusions of grandeur, then it seems we're right on track, historically speaking. Personally, I think it's been pretty interesting to grow up in this generation: while the Internet was coming of age and taking on the world, we were, too. I was in third grade when the school librarian showed us how the school computer could connect to another school's computer through the miracle of the World Wide Web. I remember sitting criss-cross applesauce on the floor of the library, listening to the extremely long dial-up sequence and thinking, "Ugh, this is taking forever. Nobody's going to want to sit through this more than once." Millennials: Confident. Connected. Open To Change. About one-in-eight older Millennials (ages 22 and older) say they’ve “boomeranged” back to a parent’s home because of the recession. This tracks with a lot of what I've seen in my own life and with my character's lives too. We graduated during the Great Recession, after all: it's no wonder so many of us are unemployed, underemployed, or currently living with friends or family. When I was growing up, I pictured "having a job" to mean living the 9-5 life. I figured I would have a boss, a biweekly paycheck, and regular work hours. At the beginning of my adult life, I actualy did: I was a special education teacher for several years. Then I went in a new direction and branched out on my own as a freelance writer, editor, and author. I work from home, contract with individual clients, and work a somewhat flexible schedule. My work life looks nothing like I pictured growing up, but it looks a lot like many of my peers'. Interestingly, both main characters in my work-in-progress work 9-to-5 jobs. Will is a middle school music teacher and Mara has a new job as a research assistant. Emphasis on new: when the story begins, Mara has been unemployed for several years. She's a millennial, after all, and finding a job in the recession is no easy feat. Studies are finding that our generation is plugged in to humanitarian and social issues around the world--and we're doing something about it, too. This article from YouCaring shows that 84% of millennials (those of us with jobs, anyway) made a charitable donation in 2015. I'd say we're also pretty likely to take up calls to action we find online, such as making donations through websites, signing online petitions, and sharing news and calls for help on social media. This was a lot of fun to research, since Will and Mara's story centers around a fictional social issue. In my story, timeline rectifications are available for rehabilitated criminals. In short, a repentant offender can agree to go back in time and undo his or her crime. The new timeline will pick up from there, ensuring that no one will even have a memory of the original crime. The catch? The victims of the crime have to agree to the rectification. 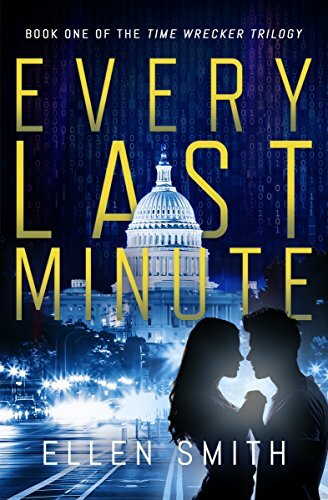 When Mara and Will discover the shooter that nearly took their lives could go back in time, the social issue of timeline rectification becomes less theoretical and all too real. The premise of the story may be science fiction, but the feelings of these two characters as they take on this issue? Not too removed from real life. If millennials are particularly involved in social justice or other causes, it's often because we have a personal connection. Maybe something as simple as seeing a good friend posting about an issue makes us want to join in the cause. Maybe our own experiences with unemployment or even poverty make us empathetic to those who have even greater needs. Or maybe, like Will and Mara, a cause involves us personally, and we have to decide where we stand. So...what does it mean to be a millennial?